Chelsea striker stands defiant - Do not expect me to give up. With the increasing speculation regarding potential new signings in January, one Chelsea striker has spoken out over speculation over his own future with a defiant message and intends to say and fight for the remainder of the season. 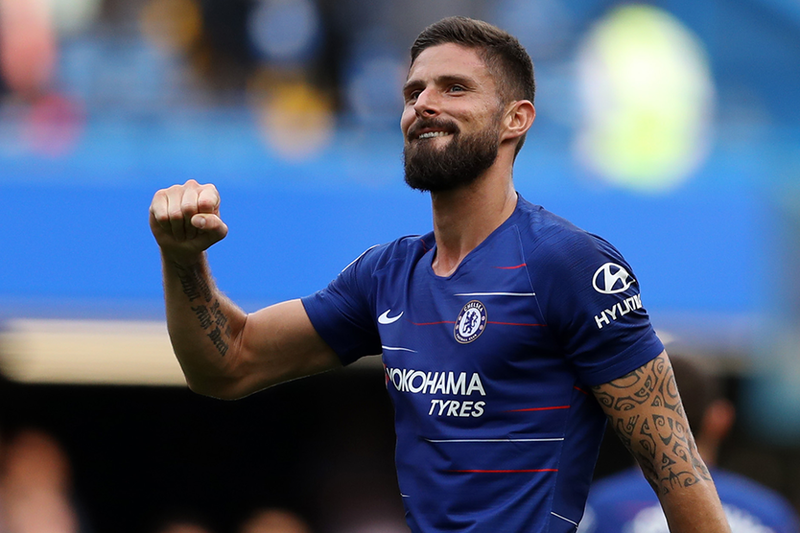 Olivier Giroud joined Chelsea just over a year ago from Arsenal when it became clear that he wasn't happy and felt as though his place in the French World Cup squad under Didier Deschamps was under threat through a lack of playing time under Arsene Wenger. With Michy Batshuayi heading off to Borussia Dortmund on loan for the remainder of last season, Giroud was identified by the club as a replacement and a deal was struck on a permanent basis. 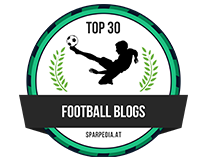 Of course at the time there was some people that questioned the move but as time passed by last season, the value of Giroud to the team became arguably more important than that of Alvaro Morata who had been struggling with a back complaint and goals. You would have had more luck at casino-bonus.com rather than back the Spanish striker at that point. Chelsea fans had been used to seeing a target man up top with the smaller, more mobile attacking players in behind or alongside. 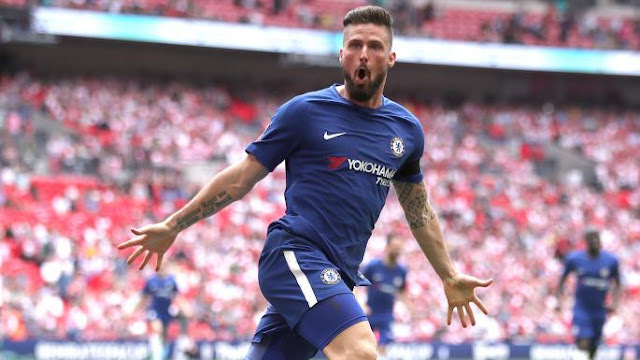 Think of Didier Drogba, supported by Arjen Robben and Damian Duff, think of Diego Costa, supported by Eden Hazard, Willian and Pedro - now we had Olivier Giroud. OK, he isn't as mobile as his predecessors but his game was perfect for what Chelsea needed at the time last year and his almost immediate understanding with his team-mates became a focal point in games. Olivier Giroud offers Chelsea a different option to that of Alvaro Morata. He will use his strength and overall size to hold-off defenders, to impose himself to the point that he bullies them. He can hold the ball up, he can lay it off and play one-two's in addition to being a goal threat in the air. Added to that an ability to score goals, he became the perfect foil for our midfield and played a huge part in our FA Cup success - the only highlight of a disappointing season. So to this season having won the World Cup this past summer. Maurizio Sarri has come in and imposed his own personal style at Chelsea which is known as "Sarri-ball". It's about quick movement, high press, one and two touch football with pacey players throughout the side. Gone are the days of looking to play the ball forward to the big man up top to then try and build something off of him - it's now pacey, possession based football. To this point, the Frenchman has hardly featured under Sarri but did score his first goal of the season against Bate Borisov in the Europa League - a well placed, near-post header from an excellent cross played in by Emerson. As yet, he is yet to make a goal scoring impact in the Premier League. "Would I have to consider a departure to keep my place in the national team? I feel like it is as if we are where we were several months ago when I was being asked the same questions before the World Cup. Today I am calm, happy with this World Cup title. I don't need to put myself under more pressure than that. Of course, I am a competitor and I would like more playing time. 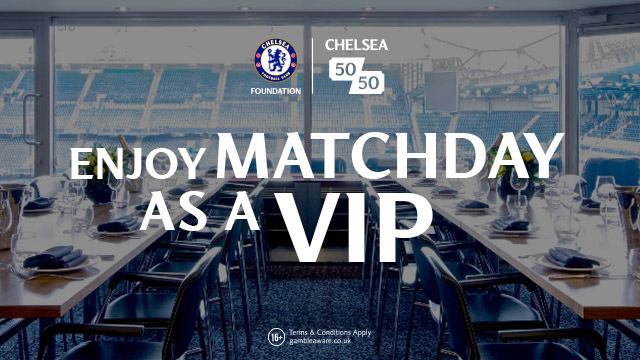 But I am in a very big club, with very big players. I am going to fight and for the moment, it is not a question about seeking a departure. I am going to stick in there and do not expect me to give up." - Source: SkySports. I personally love that from the big-man. He knows that he offers Sarri that different dimension and he also knows that the link-up play he has developed with Eden Hazard in such a short space of time has become important. Once again this season there could be moments when he steps in and literally steps up to play a big part in games. Think of Southampton away last season, think of the FA Cup Semi-Final etc..
At the end of the day it's down to the manager to decide whether of not he fits into his thinking. Despite the players intention to stay and fight it may be case that it really doesn't matter. I sincerely hope he stays to at least the summer. What do you think of Olivier Giroud since he joined Chelsea and the current situation? Would you keep him?